You may have heard of a little band called The Black Keys. 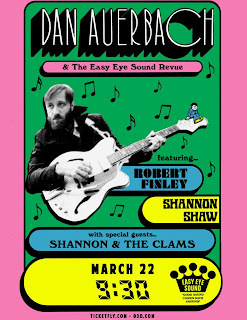 You may know that half of that Black Keys braintrust is named Dan Auerbach. And you may know that Auerbach has recently released his first solo record in 8 years, Waiting on A Song. 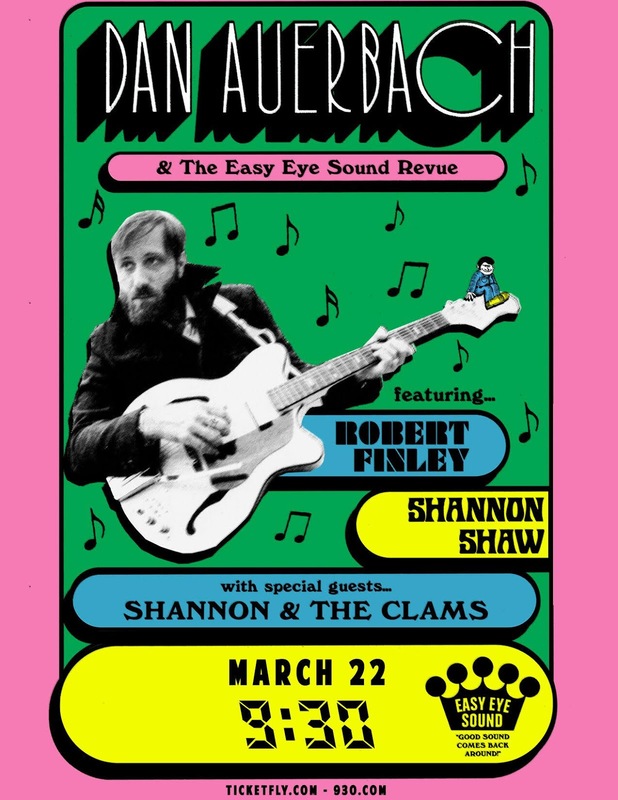 If you already knew all of the above, you undoubtedly know that Auerbach and The Easy Eye Sound Revue (featuring Robert Finley and Shannon Shaw, along with the sassy Shannon & The Clams) will be taking over the 9:30 Club on March 22. Enough of y'all knew it sell the heck out of the show, but if you didn't score yourself a ticket, have I got news for you! I've got a pair of tickets to this very show to give away. Yes, that's right. One lucky so-and-so will be going to see a heck of a show. How do you get your hands on these tickets, you might be wondering? Well, it's pretty easy. Just convince me just why YOU should win them. Email me your most convincing entry and you could be a big ole winner. 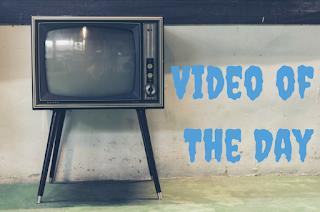 I'm giving you an entire month to enter the contest, because I want to be wowed. So make it count, y'all. Oh, and to make sure you're always in the know about upcoming shows, be sure you head over to the 9:30 Club's dot com and sign up for their mailing list. FINE PRINT: Contest is for two (2) tickets to this here show. Contest closes at noon Eastern on Tuesday, 3/20/18.